This merry bunch gathered together for Arthur's 80th birthday some time in the spring of 1957. Click on the photo for a larger picture. Standing from left to right we have Arthur's son, Ragnar, with his daughter Irene standing in front of him. 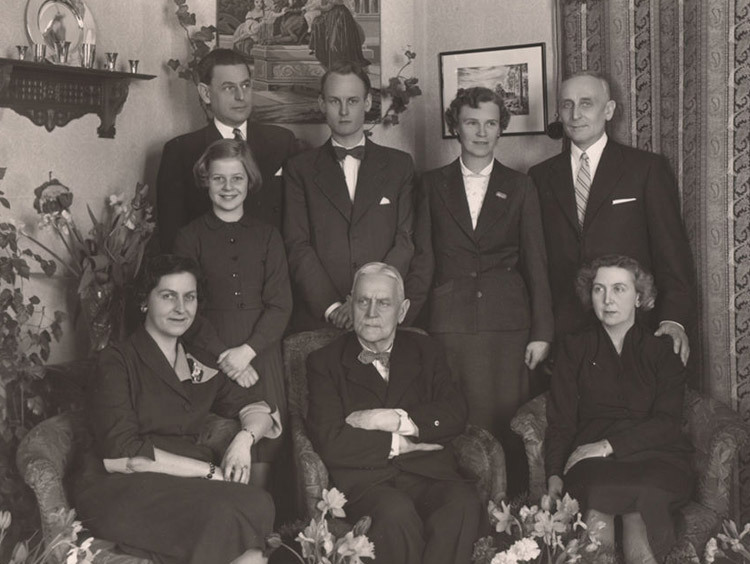 Clas, my father, followed by his parents, Inga and Wilhelm. Sitting from left to right we have Hervor, Arthur's daughter with his second wife, Arthur himself, and his daughter Märtha (with her brother's arm resting on her shoulder).